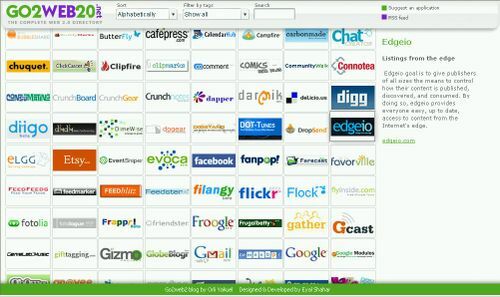 Keeping track of all those bloody "Web 2.0" applications out there can be a real pain in the arse. So here is an essential resource that you should know about. Go2Web20.net is a tidy little site that visually archives tons of "2.0" goodness. It's ultra simple to use. What's more you can search, sort, filter, tag, subscribe to the feed and even suggest sites/services that are not listed. Yum.